Turner Tanks SK-270-12P is a 273 gallons single wall above ground tank, with the dimensions of 36" dia. x 62" L. It is typically used in the fields of farming, construction and grounds maintenance. 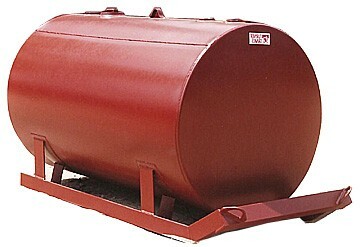 Turner Tanks SKDW-270-12P is a 273 gallons double wall SKID tank, with the dimensions of 36" dia. x 62" L. It is typically used in the fields of farming, construction and grounds maintenance. Turner Tanks SK-525-12 is a 532 gallons single wall tank, with the dimensions of 46" dia. x 74" L. It is typically used in the fields of farming, construction and grounds maintenance. Turner Tanks SKDW-525-12P is a 532 gallons double wall SKID tank, with the dimensions of 46" dia. x 74" L. It is typically used in the fields of farming, construction and grounds maintenance. 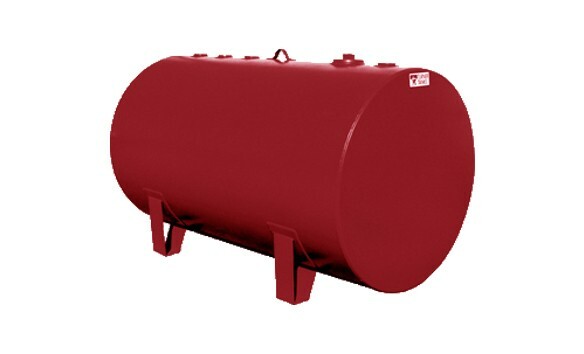 Turner Tanks SK-1000/46-10P is a 1036 gallons single wall SKID tank, with the dimensions of 46" dia. x 144" L. It is typically used in the fields of farming, construction and grounds maintenance. Turner Tanks SKDW-1000/46-10P is a 1036 gallons double wall SKID tank, with the dimensions of 46" dia. x 144" L. It is typically used in the fields of farming, construction and grounds maintenance. 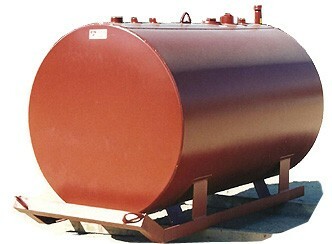 Turner Tanks SK-1000/64-10P is a 1036 gallons single wall SKID tank, with the dimensions of 64" dia. x 74" L. It is typically used in the fields of farming, construction and grounds maintenance. Turner Tanks SKDW-1000/46-10P is a 1036 gallons double wall SKID tank, with the dimensions of 64" dia. x 74" L. It is typically used in the fields of farming, construction and grounds maintenance. Turner Tanks STDW-270-12P is a 273 gallons double wall Stout tank, with the dimensions of 36" dia. x 62" L. It is typically used in the fields of farming, construction and grounds maintenance. Turner Tanks AUDW-150-12P is a 150 gallons double wall Utility tank, with the dimensions of 30"" dia. x 49" L.